Teacher Playground: So Many Technology Tools...How do I choose? So Many Technology Tools...How do I choose? In the world of Education there are so many great tools that a teacher can use. Sometimes it can be very overwhelming because there is so much to choose from. The best advice I can give is to "Plan with the End in Mind". I do not suggest that you jump on new technology tools because they seem cool and you might seem cooler if you use them. It is crucial to know what you want your students or teachers to achieve first and then see what technology or technology resource will help you achieve your outcome (the end). If you keep that in mind, you will be successful. I always tell people to take "Baby Steps" when it comes to technology. Do not overwhelm yourself with doing to much too fast. You want to master one or two things before adding on something else. 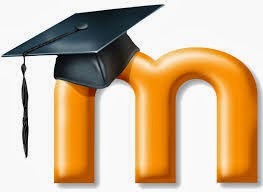 I have had this discussion with teachers and students on Web 2.0 tools, ActivInspire tools, resources/activities in Moodle and just about every Educational Technology topic. With that in mind I am going to share with you 3 tools that you should surely try. I am going to focus on the 3 programs I listed above and give you 1 tool to master for each and why it is beneficial to use. Web 2.0: Animoby has become one of my favorite tools to use as a teacher and allow my students to use it as well. Animoby allows the user to create quality presentations using VOICE and a variety of design tools (draw, paint, type, images), and publish or share via e-mail. Animations are created when users pick a tool and simply touch the screen, and voice can accompany designs by the press of the record button. It is very user friendly, free, and available on multiple platforms. I love it! ActivInspire: The "Hidden" feature located in the Action Browser. I love this tool because it quickly makes an object disappear/appear when you click on it. The kids think it is magic. This allows you to make a memory game, reveal answers, and so much more. Your students will truly enjoy it and retain the information better by adding this tool to your mastered list. If you have ActivInspire and like to import Smart Notebook files, you will find that you will need to reset the hidden feature in ActivInspire. It is a quick way to get your Smart Notebook files just the way you want them in ActivInspire. A great feature that I love is the Forum because so many times in an online class or even in a face to face class we don't get the chance to talk to the people in our class or the person next to us. Forums allow you to ask questions and get answer to problems you have been trying to solve for a long time. If someone has a great idea, why reinvent the wheel? I love the collaboration that goes on and the wonderful ideas that come from using a Forum. You will surely see student engagement go up and students will feel included in the class environment. There are different types of Forums you can set up so make sure you find the one that best fits your needs. I hope you found the information valuable from this post. I will keep you updated with more of my favorites. Please feel free to ask me any questions you may have. Need a resource? Just ask. App Friday: Apple Store Apps that are FREE TODAY!